A cheeky variation of one of our favorites. 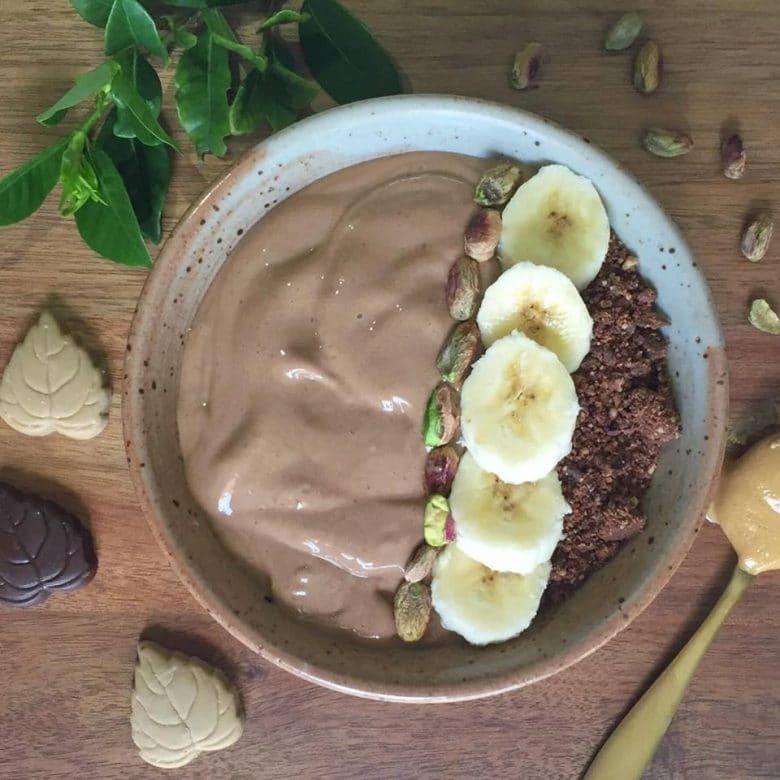 This double choc smoothie bowl is a great one for the kids (big kids included)! 1. Add all your smoothie bowl ingredients to a high speed blender. 2. Blend until creamy and thick. 3. Pour into a bowl and top with your favourite toppings! We used banana, raw pistachio’s and dry BallBag mix. Thank you to Anika for this smoothie bowl recipe!